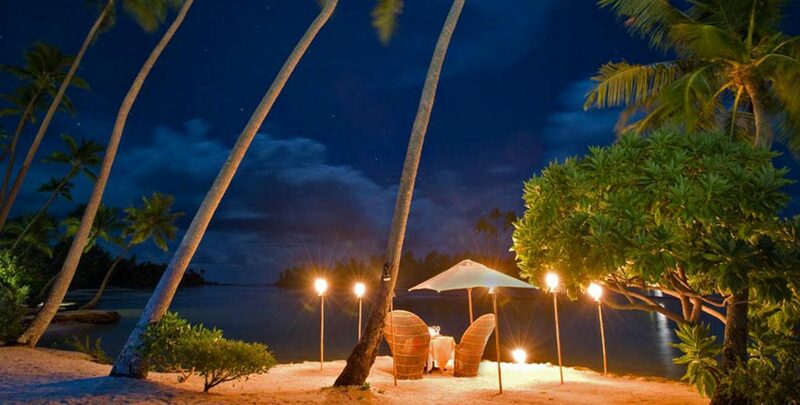 Here's our selection of must do's during your romantic vacation in French Polynesia. 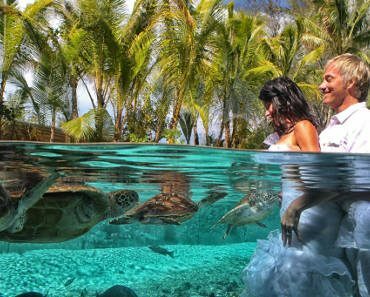 You can enjoy these experiences on mostly all islands in French Polynesia, prices of these are available online when booking your vacation on our website or you can download hotel's brochures below. 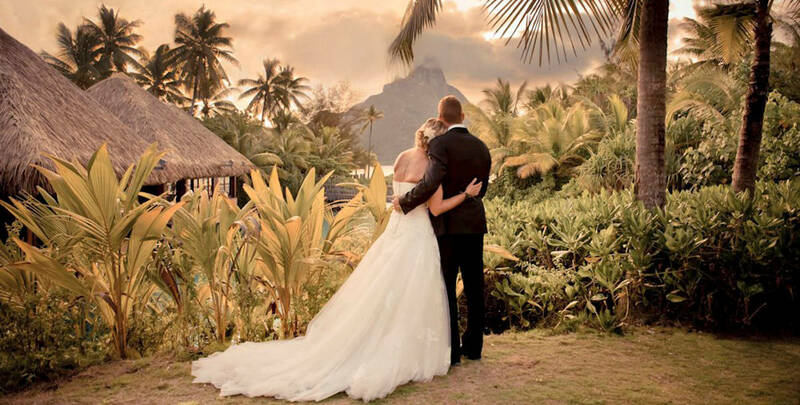 You can book online your vacation and select these romantic options or simply contact one of travel consultants for custom quotes and expert advices. 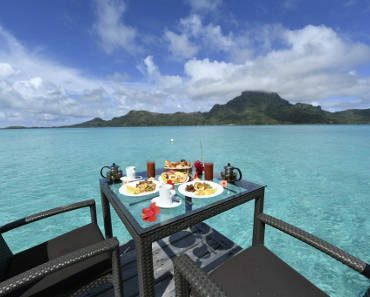 Start your day with an unforgettable breakfast brought to the private balcony of your overwater bungalow or villa by outrigger canoe. 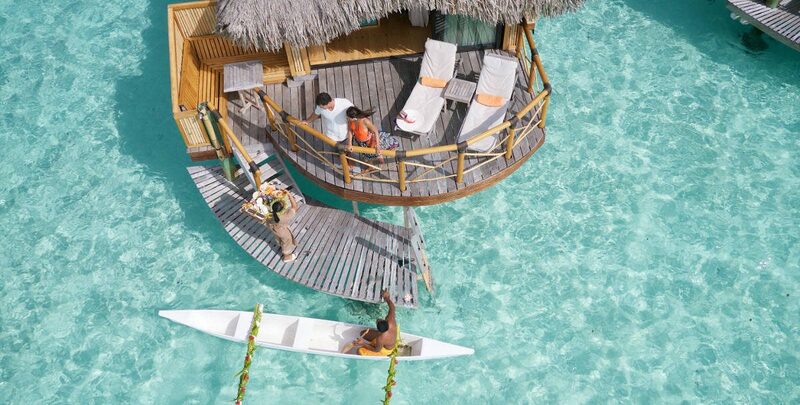 Often bedecked in flowers, the canoe carries Polynesian staff serving fresh fruits, pastries, and juices while the surrounding waters begin welcoming the rising South Pacific sun. Franckly there's no better way to start your day. 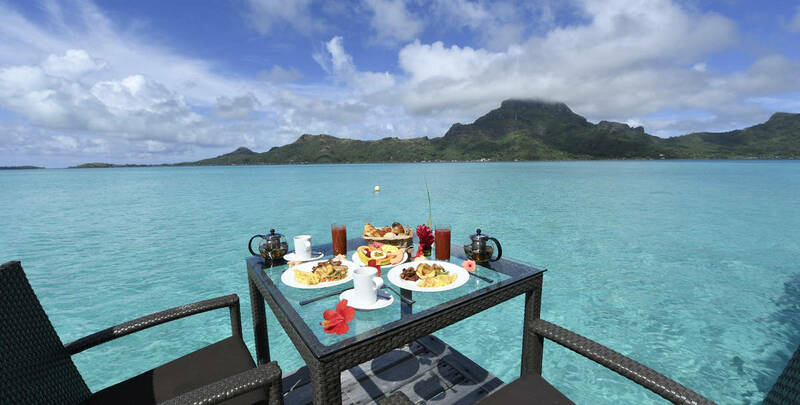 Canoe breakfasts are available at many of the resorts throughout all the islands and can be reserved before you travel by your travel consultant at easyTahiti.com. 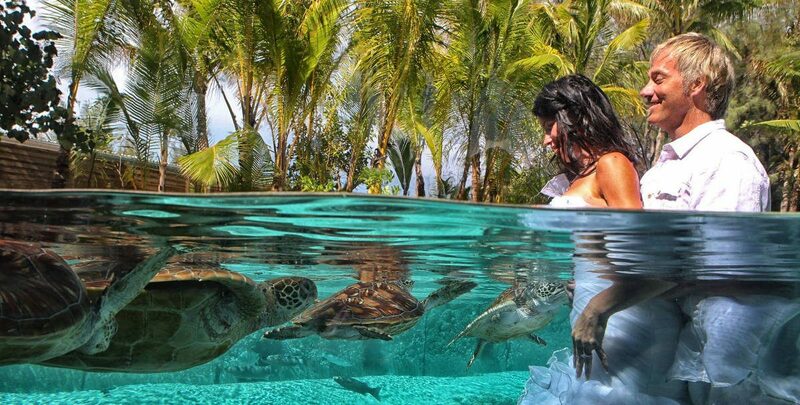 Price is around 100-200 USD per couple depending on the resort. 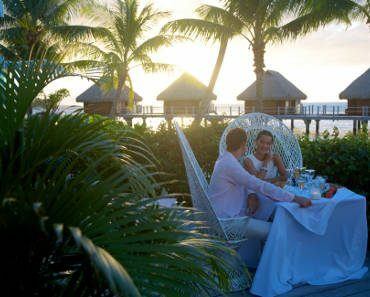 Enjoy sipping Champagne with canapés on a private palm lined area of the beach as you marvel over an incredibly romantic sunset. 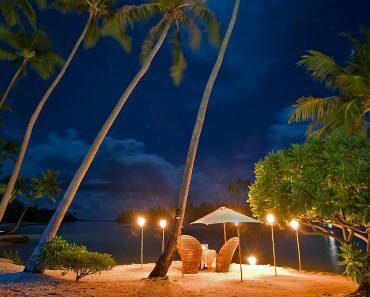 You will then be escorted down the beach to a private table for two as the candlelight shimmers on the waters of the lagoon. Enhanced by local flowers, your surroundings are set for a dinner specially prepared. You will have the ultimate dining event with a personal server who will ensure this is a once-in-a-lifetime experience. 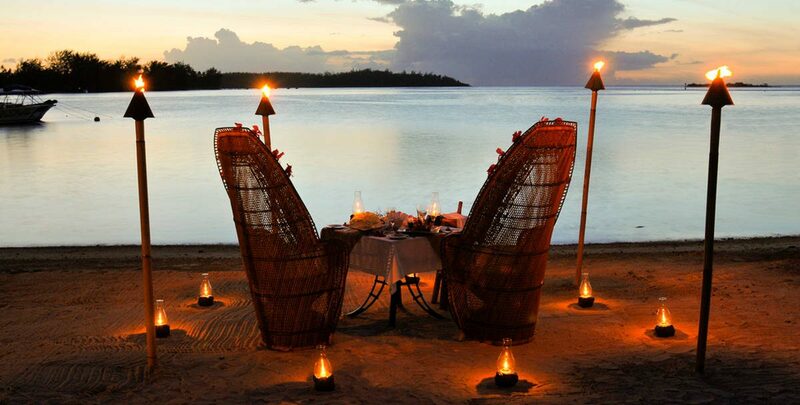 Price is around 300-600 USD per couple depending on the type of romantic dinner and the resort. Price is around 400-600 USD per photo shoot (halfday) depending on the photopgrapher and the location. 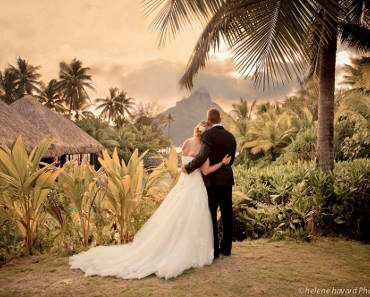 Planning a romantic vacation filled with exclusive couple activities & romantic ideas in Tahiti on your own can be frustrating and stressful. 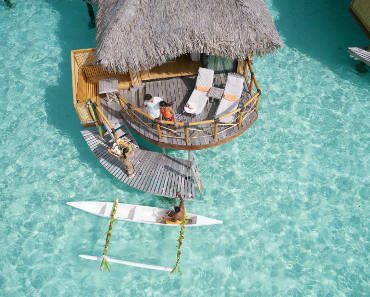 When you work with easyTahiti.com, the process is simple. 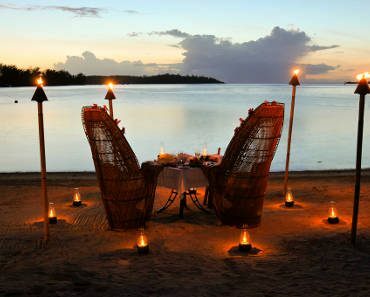 Planning your custom romantic vacation with us makes the entire process easy, you'll save a lot of $ by benefiting of our exclusive discounts, last but not least you'll sure at 100% that your vacation will be perfectly planned and that we will by your side if anything happen during your trip!